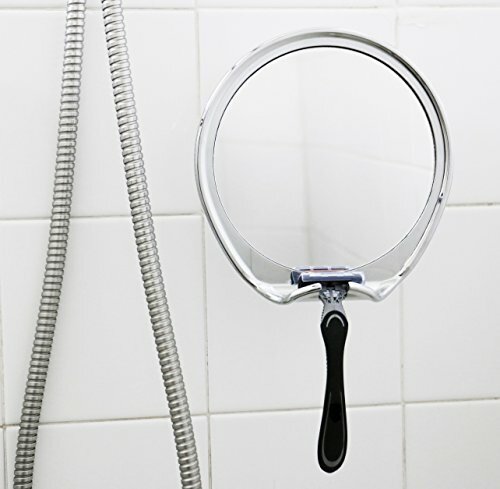 If you’ve been looking to purchase a good mirror for shaving in your shower, chances are you’ve found countless different options at your local store or online. 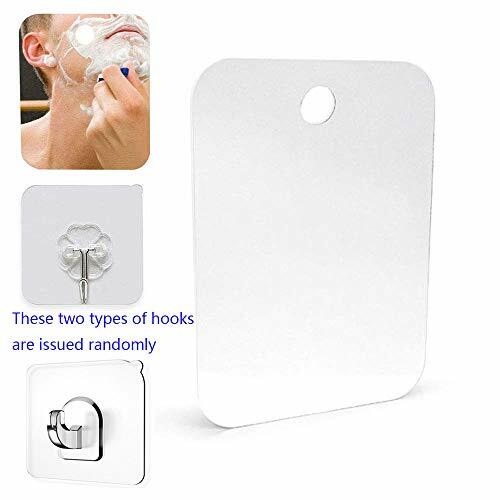 While there are plenty of cheap mirrors out there and it’s a relatively simple bathroom accessory, it’s still important to find one that is: easy to hang, won’t fall down or fog up in middle of your shave and that will last. We’ve gone over the most popular choices and picks the Fogless Shower Mirror by TolietTree as the best option for price and value. 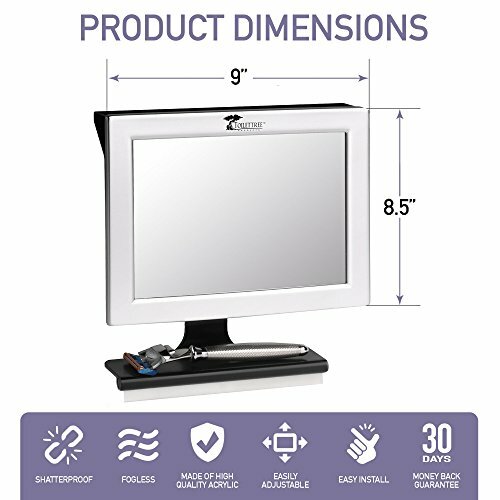 The mirror has the edge over most: it’s easy to mount and has a patented water chamber (takes a few seconds to fill it), this is the feature that keeps it fog-free. The adjustable bracket lets you change the angle and the built-in shelf is a practical place to store your razor. If you are still looking, we’ve selected two other mirrors for you to consider below. Although most products offer the same end result, setting everything up could be tricky in some instances. Make sure you have all the necessary tools required to place the mirror, as well as enough bathroom space to properly install it. Most products in the market offer a fogless shaving experience, but some tend to last longer than others. The design of each mirror often dictates how long it does last, making some modern mirrors more effective than others which have archaic anti-fog mechanisms. The lifespan of a product is outlined in two aspects: the quality of the mirror and the quality of its borders’ material. Finding a shower mirror with the right amount of quality on both pieces is fundamental to ensure a long lifespan. Fogless seems to be the main attribute people look for when purchasing a shower mirror, considering the amount of steam generated by hot water baths. This product’s design allows for the mirror to stay fogless for the entirety of a shave, and helps the mirror itself stay useful for a longer period of time. It can bend after prolonged uses, which does shorten its lifespan a bit, but it should work as advertised for at least a couple of years. Commonly, users suggest cleaning the plastic borders often in order to avoid long-term deteriorative damage, but the mirror’s quality is certainly the main advantage offered by ToiletTree’s product. The mirror has a decent enough size to facilitate shaving without struggling to see the blade in the mirror. It also offers a straightforward setup procedure and you should be able to start shaving easily enough! Once glued to the wall, though, it’ll take some work to remove it without permanently affecting the wall itself. Keep this in mind before committing any wall to its attachment. The company also grants great customer service whenever issues present themselves. Some users even receive free glue to mount it again if they’re in need to move homes. Easy to set up! Most customers agree that getting this mirror installed is a pretty easy task. Fogless: Its design helps the mirror stay fog-free for the entirety of a shave. Great customer service: Buyers have said that the company’s customer service dept. has been responsive when contacting them, providing help when needed. Large mirror size: The size of the mirror allows for a comfortable shave in most showers. It’s not easy to get off the wall. It doesn’t properly repel water. Warps with time, causing it to bend and disrupt reflections. A definitely cheaper alternative to ToiletFree’s mirror, Shave Well’s Deluxe Shower Mirror offers a different design that works with a convenient shower hook. It might not look as good in the shower as other options given the simplicity of the design itself, but it does its job as advertised. In general, the main disadvantage is the presence of water beads after going through the process of equaling both sides’ temperature in order to avoid fogginess in the mirror. It wouldn’t really seem like an issue at first, as you could easily clean it, but while doing so, the temperature will rise on one side and leave you with approximately two minutes of foggy-free shave before becoming nothing but a blurry reflection. Not ideal if you take your time while tidying up! The size is pretty standard – not too big, but not too small either. Unlike ToiletFree’s mirror, this mirror doesn’t seem to distort the image with common wear-bent, but the sides might start losing some clarity after around 6 months of usage. Install the hook, hang the mirror. Pretty easy to set up! It fogs more often than other competitors’ products. Edges can be too sharp and might cut your fingers. The mirror’s effective area could become smaller with usage. This fancy-looking design offers more versatility than the other two from this list, as it can easily rotate and tilt either upwards or downwards, allowing more freedom when shaving. Installation and setup aren’t too simple, though, which is to be expected from a mirror with a more complicated mechanism. Nevertheless, it generally works well and should stay foggy-free… But sometimes it might require more work than that provided to you by the instruction manual. 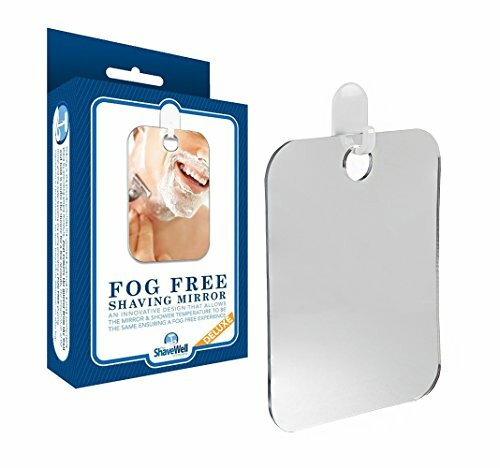 Many owners have complained about the fact that the mirror tends to fog more often than not, and even though some suggest using soap in order to allow the mirror to stay fog-free for the length of an entire shave, but this is more of a side solution rather than a product guideline to follow. The main complaint from customers seems to be its relatively short lifespan. New owners tend to be happy with the product’s quality, but those who have owned it for over a year aren’t too happy with its current state! Mirror rotation allows for freedom inside the shower. It works as advertised, for a decent amount of time. The rotation mechanism is very good and receives little to no complaints from mirror owners. Usage will wear it down faster than other products. It will fog unless other means are used to avoid it (like soap). It’s heavy, so it might fall down unless reinforced every now and then. We all aim to look and feel good before we go out and face the world. We fix our hair down to our shoes and glance into the mirror not once or twice but until we get satisfied on our overall looks. 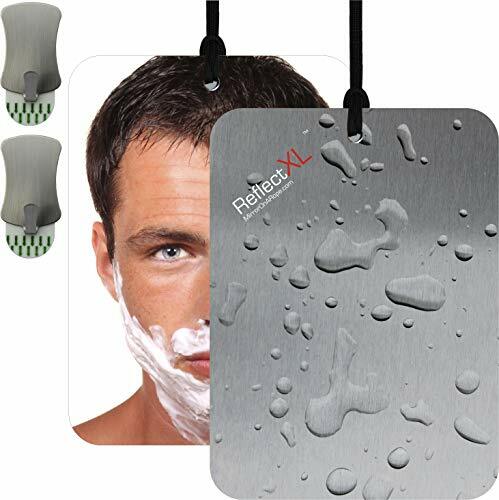 The ReflectXL Shower Mirror by Mirror On A Rope is the perfect set of eyes we need on our bathroom or anywhere we need it. Easily can be our favorite when we need to examine how we look after a shave or face cleanse. This mirror is 7.6 x 5.6 x 0.1 inches, so a size worth considering for traveling and certainly ideal for home use. This set includes two removable adhesive hooks and an adjustable rope which is wet steel by the way, so it can easily be moved between places in your house. Made from solid and thick plastic material made in the USA and accessories are imported. Due to its patented design which went through years of testing this mirror can last for years. It also boasts a fog-free and shadow free ability when used according to directions. So, this means you can freely manipulate your reflection even if the lighting is scarce. When used in the bathroom you can prevent off fog on the mirror by just simply applying heat. If you are like me who usually beats the clock to start your day. You’d want a mirror that can easily bend to your wishes and withstand the pressure of being continuously turned around. The JiBen Fogless Shower Mirror with Power Locking Suction has a built-in razor hook and 360-degree rotating adjustable arm. This is a great feature that allows you to check your face from any direction. You can easily switch to any angle when needed. Its powerful suction cup lets you stick it to any surface that can hold it without using any tools. It’s very easy to use for a fuss-free shower. To clean the mirror you can easily splash or wipe it with warm soapy water and you’re good. 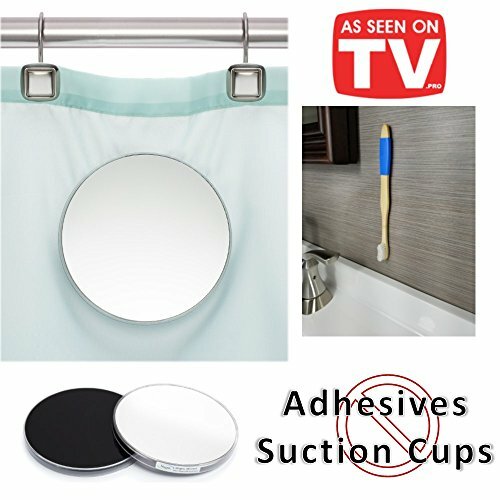 This mirror is great for ladies who constantly look for the perfect angle when tweezing or facial cleansing. But it can be perfect for men too. Think about the hassle of having to step out of the shower to shave. 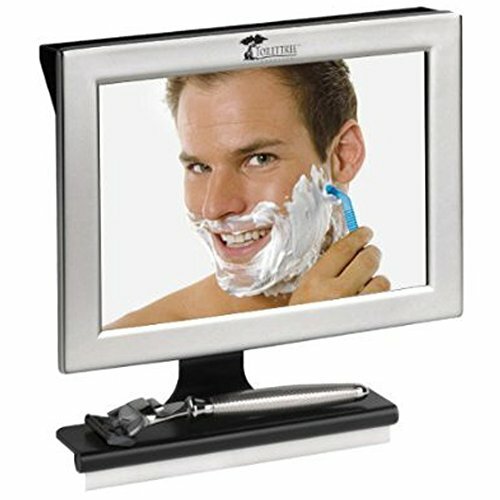 With this mirror, you can easily get a clear look on your face when shaving while in the shower as it is fog-free. And did I just mention it’s pretty easy to clean it up as it’s made of anti-fogging materials? Do you ever wish you could have a mirror that’s not too small but not too big to crowd a space? Something that doesn’t easily fog which is perfectly ideal if you shave or of cleanse your face in the shower. No need to look somewhere the XoYo-Large Fogless Shower Mirror is the exact piece we’re all looking for. It’s frameless so we can take a good look at our faces in full view. The lack of an outer frame makes this mirror look more stylish. Best for a minimalist like me. It also comes with a transparent hook that added to its elegant design. One of its best features is that it is fog-free. There are a lot of mirrors marketed as fog-free only to end up a disappointment. The XoYo-Large Fogless Shower Mirror can easily withstand the heat of your warm bath without you having to wipe it multiple times. Also, very easy to clean, no need for anti-fogging sprays, just wipe with a smooth cloth and warm water. It also works best for smooth surfaces so it is very ideal to be used in the shower. And the price? Well yes for a shower mirror like this I’ll gladly pay for the quality. Who needs a cheap item with poor standards? The XoYo-Large Fogless Shower Mirror is made of durable plastic material so you can trust it doesn’t easily shatter. That’s quality right there. Are you tired of having to continuously find your shower mirror on the floor? You purchase a mirror with suction cups or adhesive hooks but with just a little mildew it falls off and made you jump in the shower. How about a mirror that can be attached to a shower curtain? Sounds like a good idea? It certainly is! 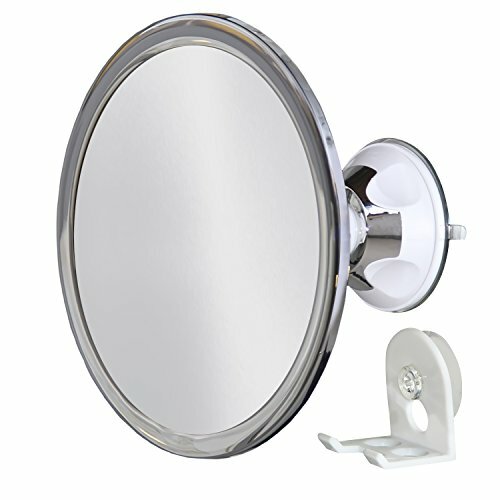 The Magnic Fog Free 2 Piece Shower Mirror mounts right into your shower curtain saving you from the startle of a falling mirror every time. It has a patent pending design that uses magnets to keep the mirror attached at the shower curtain without falling off to the floor. With its magnetic design, you can easily twist them to change position or angle. It is guaranteed adjustable. So, this mirror is quite handy you can bring it anywhere, best for traveling. Also ideal for students sharing dorm rooms as it is compact. It is made of shatterproof plexiglass and is mounted on polycarbonate almost making it indestructible. And is it really fog free? Well yes, it can stand the pressure of a warm shower and if ever it gets foggy you can easily wipe it and it stays without fog all throughout your bath. So, you can forget that nasty mildew that annoys you every time. And the best part is it comes with a FREE Magnic Toothbrush with magnetic wall holder. Now isn’t that a great deal? The online market has many options available, and although prices don’t often dictate how good a product is, the cheapest choice might not be the best one when it comes to in-shower mirrors for shaving. The quality offered by ToiletTree’s Fogless Shower Mirror comes out on top when compared to its competitors’. Have you made up your mind yet? Let us know in the comment section which product you choose and why!